~ Wise words from Henry Ford, one of the pioneering business minds of the twentieth century. Anyone serious about making his business his livelihood knows how important it is to spread the word to its consumers – be it paid or otherwise. Advertising bridges the goal of the business, taking its product to the end user. How would you ever know how a phoren scientist checked your toothpaste for that unique quality that would make your smile last longer, no matter how bad your day may be? What’s more? Take any average career path and you get, mostly, 9 to 5-ers grinding through each week. But if you like a career with a touch of swagger, you get one in advertising. Here, you get to blend in a mix of wit, creativity, business and everything that’s trending, in one. And if you get lucky in this highly competitive field, you can do all of that in style – think Mad Men’s Don Draper, minus all his debauchery. But not all of advertising is about thinking about tag lines for Lux bath soaps. Advertising requires rigorous training beyond just the creative aspect. There is the art of advertising and then there is the science of it. Hence, getting into a career in it requires training. In this article, we will find out what it takes to get into the advertising industry in India. As mentioned a paragraph ago, advertising is not just about creating catchy phrases to sell a product. It comes with a litany of job roles that ultimately serve up the “sellable” product on a plate – whether on print, television, or the internet. It also comes in various forms, sometimes with a commercial angle and sometimes as social messages, promotions, and what not. Ultimately, it is brought about with a collaboration of three essentially broad categories of job roles within the advertising world – Creative, Accounts, and Marketing. Average salaries, in India, can range from 4 lacs to 25 lacs, annually. An extreme simplification of the three broad roles, with their many many job titles within, is such. Accounts brings in client business to an advertising agency and negotiates the budget within which a campaign is to be launched. They also maintain agency client relationship, catering to their needs within the abilities of the agency. Examples are Account Manager, Promotions Manager, Sales Manager and more. 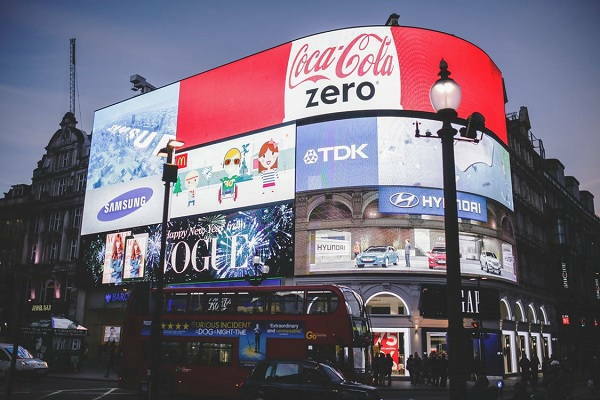 Creative group, including copywriter and art and graphics people, bang their brains on the message that ultimately makes up for the part of advertising that we are familiar with. They are individuals who are finely tuned to the creative aspects, words and communication, art, video, etc. Copywriter, Copyeditor, Art Director, Web Designer, etc fall under this category. Given these job roles, there are various ways you can enter the advertising sphere. In the next few sections we will talk about the courses that prepare you for success and the means to take to get ahead in line in this highly competitive field. In India, advertising is offered mainly as a separate degree for Advertising and Public Relations, Diploma in Journalism, Certificate programs in Digital Marketing, or a degree or diploma in Mass Communications, Retail Management, Media and Visual Arts, Broadcasting, Creative Communications, Market Research, Data Analytics, or other variations of the advertising trade. Most popular universities offer some form of these courses either at the undergraduate or graduate levels. Some of the popular ones are Indian Institute of Mass Communication, Universities of Delhi and Mumbai, St Xavier’s College Kolkata. Admission is offered upon clearing individual entrance examinations that test general awareness about development and public issues, language, analytical and comprehension skills, brand awareness, and general aptitude. Typical courses focus on building advertising strategies, consumer behavior, research methods such as data collection, mining and analysis, digital or social media marketing, brand management, PR and event management, creative communications, visual and graphic arts, etc. The natural path is to pursue a degree in advertising or mass/media communications at the undergraduate or graduate level of education. However, there are also certificate programs to compliment other adjacent degrees such as an MBA with a marketing major, a journalism or creative writing degree, etc. Several online courses from the likes of Coursera offer an opportunity to steer into the degree without having to attend on-campus courses. Thus, there are opportunities to acquaint yourself with the advertising framework, formally. However, the field is extremely competitive and jobs are usually limited to a few Tv or Radio stations, newspaper or magazines, and advertising agencies. To receive the edge in finding a job and enter its world, you need a proactive approach – How to shine above the rest? It is crucial to get into the system before you get into the system, you see. Apart from finding a job at an agency, if you are that lucky, the next best thing is to find an internship position in one. You should also look into the possibility of working at the marketing department, with an in-house advertising body, of a company or organization. Though not recommended for practical reasons, even unpaid internships pay off eventually due to the experience and contacts gained in the process. The other measure, if you are that eager, is to work to laterally shift roles within an organization. Seek out opportunities to volunteer with the sales team in promotional campaigns or events. Organize and manage sales programs. Offer to provide your creative expertize in your time. File away your contributions and create your portfolio along the way. Chances are, you will be able to compliment your advertising job application with it. Evidence of work done goes farther than your resume. Build your profile through independent freelance or volunteer work – whether you build the promotion for your sister’s annual school festival or you get paid to promote a website on social media. Log your efforts and compliment it with building your own website or sharing your experiences on niche groups. Blog to create your own brand. Read How to improve your online personal brand? It is strongly believed, and holds quite true for this field, that it helps to know people in the business. Being a cutting-edge field with a heavy creative bend, an insider’s recommendation goes a long way in scoring good points. At least to get your foot in the door. Beyond which, it is clearly dependent on how you are able to excel within. Hence, keep track of your past alumni and stay connected. Attend workshops or seminars to get acquainted and in touch with agency employees or experts. If you freelance, join like-minded groups to see what your fellow freelancers are up to and who are in their network. In other words, do what you can to find a meaningful connection instead of cold calling network or agency execs and being relegated to the dust pile of the ignored lot. Take a close look at your interests and find out how you can get into a reputed advertising program near (or far if you prefer) you. But be prepared to put in extensive hours and effort to build your profile for a successful career. Advertising takes more than the time you spend working between clocking in and out. It takes dedication to maintain client loyalty, vigilance to monitor consumers, tenacity to stay on top, and creativity to stay engaged. And if you do manage all of that, life badhiya hai!